KEN YUSZKUS/Staff photo. 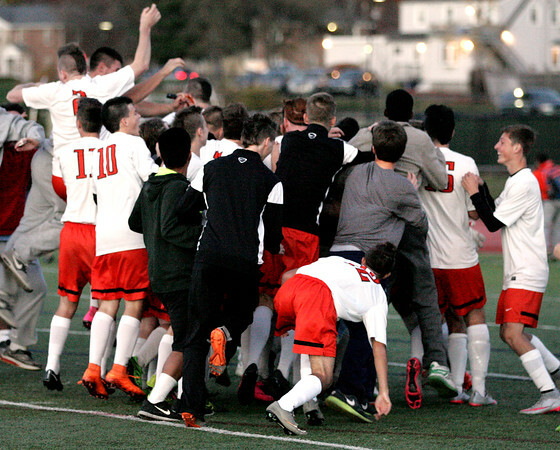 Beverly swarms the field celebrating their win at the conclusion of the Arlington at Beverly High boys soccer state tournament game. 11/09/15.